I have not been in touch through this blog for several months now. In fact, I had a tiny bit of trouble just trying to remember the process of signing in to write a post. I have had one of those experiences you really wish you could avoid throughout your entire life, but unfortunately, pain seems to find all of us at one time or another. My husband Bill Turner was diagnosed with Stage IV prostate cancer on December 22, 2016. This common, generally considered slow-moving cancer didn’t “get the memo,” and Bill’s PSA went up 150 points in nine months. Yes…Bill had received a clean bill of health three months earlier, was diligent about check-ups, and never shied away from seeking medical help whenever he needed it…but “the norm” just didn’t happen with Bill. To make a long story short, Bill wanted to attack the cancer in the most effective way possible in order to live longer, and he used a combination of chemotherapy and hormone blocking therapy to conquer it. Unfortunately, we realized after his third treatment that something was terribly wrong with his breathing. The chemo had attacked his lungs (1%-4%). So…the lungs were treated with steroids…and they attacked his muscles, rendering him bedridden for weeks. Everything we did to lengthen his life backfired, and it became a total nightmare. Bill died on April 22, and I was totally surprised with my reaction to the entire scenario. I began to feel the impact of a statement Bill had used over and over as a minister, when he visited others who were experiencing life’s most challenging darts and spears. He would often say, “There are some things worse than death.” I think Bill was right. To watch suffering with all its discomforts…to see the struggle and be helpless to do anything to alleviate the discomfort is so much worse than the pain I am experiencing now. Bill had no pain. He just couldn’t breathe. Things may change in a huge way for me later on, in regard to my own personal pain. I know that. Others have expressed this fact of life, and I know I am likely “in for it.” I know I can never be prepared for such, but at the moment, I am vertical. I am putting one foot in front of the other as well as anyone else. My “bar” is a tad lower than in days past. I try to get through the days with only a few breakdowns and sad moments. “So…what’s your plan?” That’s the question I get more than anything else. Plan? I can barely retrieve my name at this point, so…unfortunately, there is no “plan.” I think the person who said “no significant decisions for a year” should be given some type of doctorate in “life happenings.” There just isn’t anything that must be done at this point, unless it must. There are a few of those…and these are considerations that caught me totally off-guard. For example, if I had my husband in my will, then I must change my own will quickly. If my husband was the beneficiary of anything in my financial life, then those things must be changed as well. I was okay with the single-duty, but some things have become “double-duty.” I had not thought of that fact at all. The best part? We had the gift of having something I learned to call “days of grace.” We had several days to say whatever needed to be said. 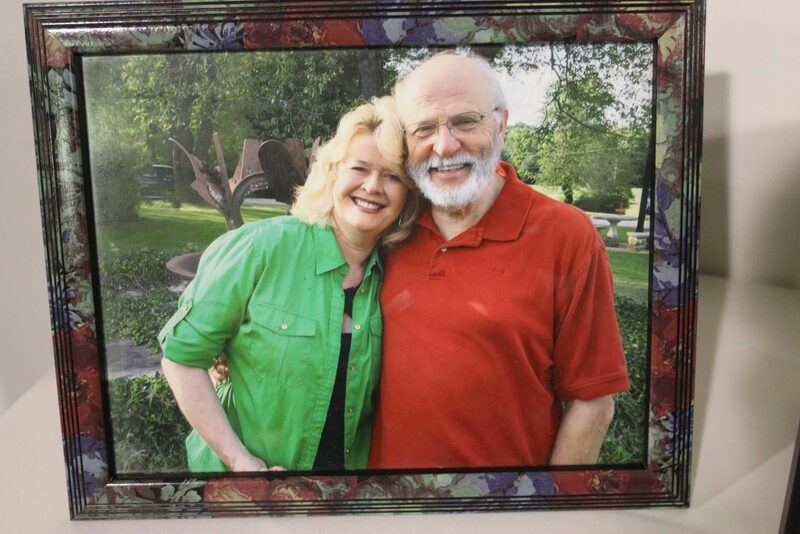 We had days of grace to say “good-bye.” We had days of grace to experience each other on the sweetest, most vulnerable level you could ever imagine, and we found a beautiful peace in loving each other in ways that were profound and wonderful. When bad things happen, we look for the good. When the tough times come, we depend on whatever we have trusted for years to get us through the dark times. We find out that the goodness of people in all sorts of roles in our lives really does lift us up…and somehow we keep one foot in front of the other for a little while longer. And…when the journey is complete…we find a way to say “thanks” with a heart full of gratitude for the gift of our love. We realize that the greatest gift was to have always embraced gratitude for each other…from the first day of our marriage…to the last. Amen. Next Post: And…the healing has begun!